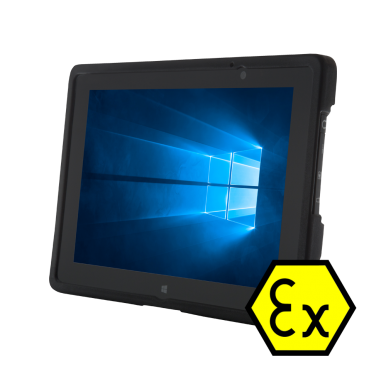 This Bartec PIXAVI Gravity X Intrinsically Safe Digital Camera replaces the Xcorder EX4000 camera and is certified for use in ATEX, IECEx Zone 1 hazardous areas, as well as CSA Class 1, Zone 1 (for US and Canada). The Gravity X (Android 7.1.2 Nougat) has 8 megapixel HD sensors, a powerful LED light, sunlight readable display, Glove compatible touch screen and HD video recording capabilities. 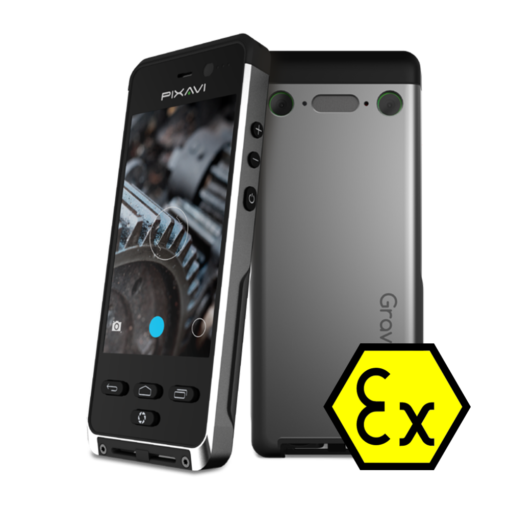 With full 1080p HD video and 8 mega pixel image capture, high end optics, super fast zoom / auto focus, the Gravity X is a very powerful camera for use in in challenging conditions whilst also allowing immediate upload to a network or computer. The camera has an extremely light sensitive image sensor as well as a powerful LED light, enabling it to take great images in dark or confined spaces. Furthermore, a 3000mAh battery ensures the Gravity X has double the battery capacity when compared to consumer devices. Software for transferring images using USB. No drivers needed. Plug and Play!